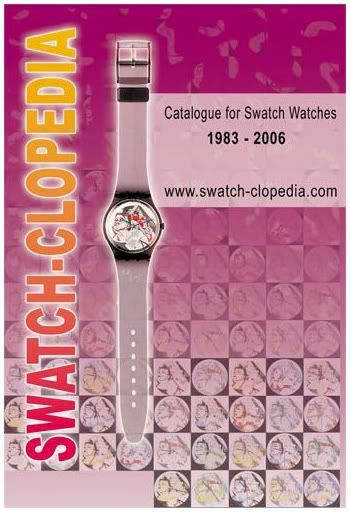 Last week I received the Swatch-Clopedia,¬¬a comprehensive source for all Swatch collectors. You can order it from Squiggly, a great online Swatch seller. I am no Swatch collector, but as every watch addict, I have my share of Swatches. From¬my first¬1991 Test model to the Olympic Pheidippides 2004 model, with various models in between 🙂 Never wear them, but nice to display. Anyway, buy this guide! And be quick, because it is limited printing (6000 pieces and that’s it). The authors worked for 2 years on this book, which covers practically every Swatch between 1983 and now, including the limited models. The book has 900 pages in full color. What really amazed me, was the weight of this book when the postman delivered it. According to Squiggly, the book weighs almost 1.5 kilograms.